Oculist; born in 1846; died May 13, 1888, at Cincinnati, O. 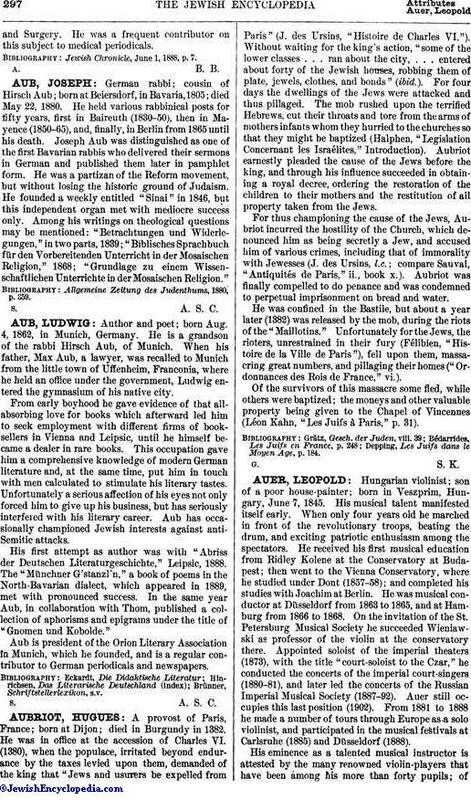 He attended the Talmud Yelodim Institute and the public schools, and later entered the Ohio Medical College, from which institution he was graduated in 1866. He then went to Erlangen, Bavaria, where he received the degree of M.D. After serving for a short time in the Austro-Prussian war, he studied at Paris and Berlin under the eminent oculists Liebreich and Albrecht von Gräfe, and then became assistant to Dr. Knapp in Vienna. On the latter's removal to New York, Aub settled permanently in Cincinnati, where his remarkable success as an operator soon insured him a large practise. Aub was one of the first to use the electromagnet for removing foreign bodies from the eye. He was oculist to the Cincinnati Hospital, and for five years professor of ophthalmology at the Cincinnati College of Medicineand Surgery. He was a frequent contributor on this subject to medical periodicals. 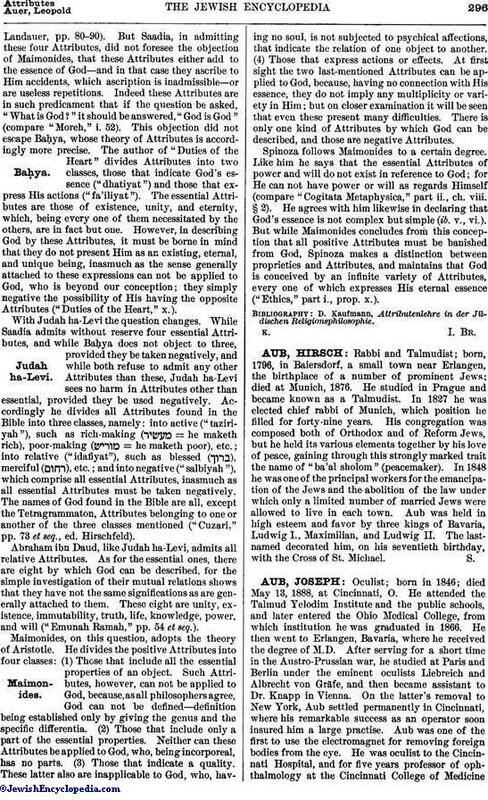 Jewish Chronicle, June 1, 1888, p. 7.